NY Says LinkedIn “Specialties” Verboten for Law Firms; Attorneys? Sometimes, but mostly NO. If you’ve attended any of my Internet marketing ethics CLEs since I started teaching them in the late 90s, you know I said this was coming. Remember when my prime example of social media was a MySpace profile? Yeah, things have changed a bit. But concern about the content in unforeseen online content has always been something I examine in writing and reviewing law firm marketing efforts. On June 26, 2013, the New York State Bar Association Committee on Professional Ethics issued Opinion 972, which in a nutshell says that “a Law firm may not list its services under heading of “Specialties” on a social media site, and lawyer may not do so unless certified as a specialist by an appropriate organization or governmental authority.” The opinion cites adherence to RPC rule 7.4. 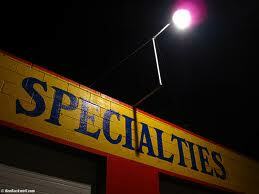 In most cases and most states, I’ve discouraged attorneys from utilizing the “specialties” category for some time. In some cases, I suggest doing so with an added disclaimer pointing to the RPC. However, this is the first ethics opinion I’m aware of that really addresses the particular issue head on. Since only individual lawyers and not law firms are the possible specialists, firms can’t list practice areas under the category on a law firm LinkedIn (or related type of site) profile. However, individual attorneys may list fields of law provided that they are acceptable specialties. Here is a hint for you…most are not. Thus using the specialties category to laundry list areas of practice are most likely not acceptable. These likely only impacts profiles of about a zillion New York lawyers and law firms. Not to mention law firms with a New York office, etc. And my guess is that a bunch of other states follow this lead, while others will not. I don’t see this being accepted everywhere (sort of like state bar opinions on “daily deal” sites). Please consult your own state bar(s) to ensure compliance on this issue. Figure this is the tip of the iceberg as state bars begins to figure out where the use of social media shakes out in numerous areas that impact the Rules of Professional Conduct, highlighted by advertising and marketing restrictions and issues.